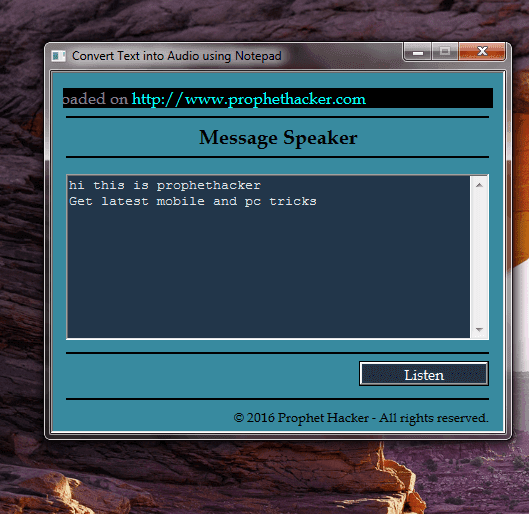 Easily convert Text/speech to Audio file in Windows Computer using this amazing trick. Everyone loves to hear what is written in a paragraph or in a document. This is the reason why the audiobooks are getting popular nowadays. 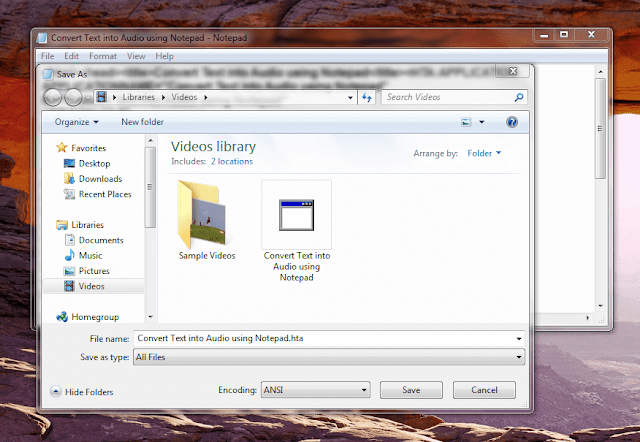 In this article, I will show how you can convert text into audio using the Notepad. Why Use Notepad? Because it is the most commonly used text editor everyone uses. That’s the reason. There are other editing apps like; the notepad++, Komodo edit, but we will be making use of notepad today. 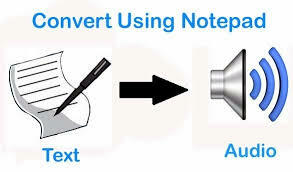 Here we create an application using notepad to make computer speak what you type. 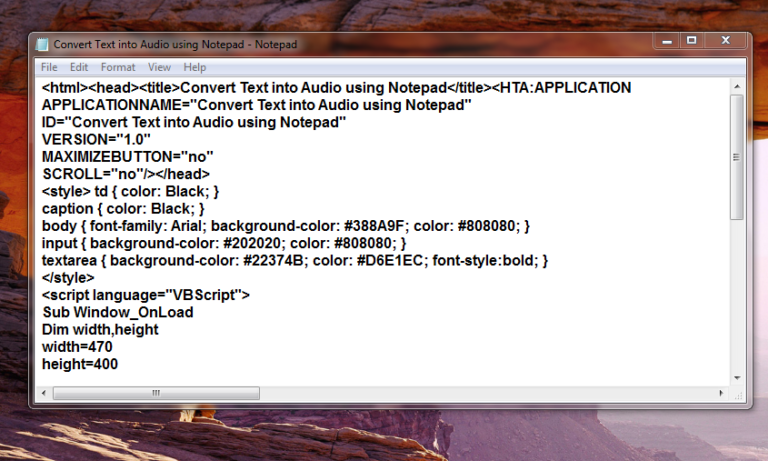 Open Notepad Program or any other IDE on your Window PC. We shall be using Notepad for easy access and understanding of this. Now let’s save the code we entered above. The code has to be saved in .hta format rather than standard .txt format. Now navigate yourself to the location where the code is stored. in my case, it was stored in the Videos folder so I will just go to the Video Folder and check for it. You can see that the file we saved was in the .hta format. Now just double-click on the saved file and Enter the text you want to hear in the text box. The moment you click Listen button, you can hear the text you entered as Audio. That would be all for this short tutorial and remember to share to experience in the comment section. You can as well follow the image above for easy clarification and also remember to run the file as administrator for proper result.